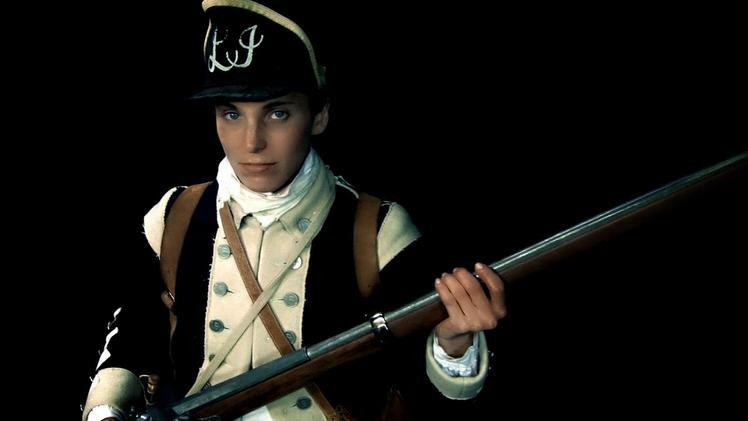 Deborah Samson [Sampson], the first woman to enlist, to fight, and to be honorably discharged from the American Military captivates audiences in an hour-long program chronicling her life. An indentured servant by age five, Deborah grew up in a man's world, where women were naught but second-class citizens. Without the ability to vote or to own property, Deborah knew her options were limited; breaking the rules may be necessary to accomplish a greater goal in life. As a self-educated woman, Deborah was the only schoolmarm in Middleborough, Massachusetts; however, she felt a higher calling, as she heard news of the rebellion, while working in the local tavern. After ten years working as a farm hand, Deborah was strong and possessed the physical capabilities of her male counterparts. And then, on May 23, 1782, wearing an old soldier's uniform, Deborah bound her chest, tied back her hair, and enlisted in the Fourth Massachusetts Regiment of the Continental Army, under the alias "Robert Shurtlieff." Official selection of the United Solo Theatre Festival, Theatre Row, 42nd Street, NYC. Suitable for all ages. Running Time: Approx. 60 minutes.